Welcoming a new furry friend to your family? You absolutely NEED this puppy house breaking schedule! It’s going to make potty training your pooch a whole lot easier! While having a new puppy comes with so many awesome benefits, let’s be honest, potty training is definitely not one of them! The following should help you with getting a solid start to house breaking. Depending on size and breed and how much food or water your pup consumes, these times can vary. One thing to keep in mind is that even with the following schedule, puppies should be taken out as soon as they wake up, after eating or drinking, and after actively playing. During the day for your puppy, it’s not unusual for them to have to go potty every hour to hour and a half. They have small bladders and haven’t learned to control things yet. At night, 3-4 hours should be sufficient, assuming they haven’t eaten or drank less than three hours before bedtime. Daytime hours increase to about every 2 hours now. Night time hours increase to 4-8 hours now. Daytime can be around every 3 hours and nighttime about 8 hours. Daytime hours are about 4 hours and night time stays around 8 hours. Daytime hours vary between 5-6 hours and nighttime hours still around 8 hours. During the day your pup can hold it for about 8 hours now, sometimes a little longer and at night anywhere from 8-10 hours. This may differ with older dogs depending on how well their bladders are since they’ve aged or if there are any health problems that could affect their schedules. This schedule is a guideline and should be used as such because the needs of our pets often differ and results aren’t always the same. 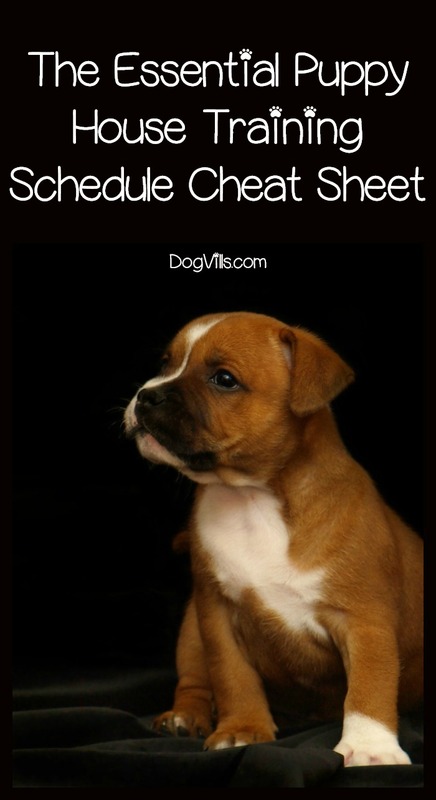 Remember, your dog’s schedule will eventually coincide with yours. Just be patient with them because accidents are bound to happen. If they DO happen, don’t yell at your dog. Yes, it’s not fun cleaning up puppy pee on your carpets, but yelling just confusing your dog. If it’s an old mess (meaning you just got home from work and saw that puppy peed on the rug), he won’t have any idea why you’re yelling. Even if it’s a new mess, he’ll think you’re upset because he went to the bathroom in general, and not because he did it on your rug. Other options that can be used depending on your lifestyle can be puppy pads, turf pads, litter boxes (yep, some smaller dogs can be trained to use a litter box just like your cat), or newspapers to name a few. Showing them that they can use these items should you be gone longer than is normal will save on puppy health problems and stress on your part. There are tons of options out there to help with your puppy potty training. Congratulations on your new family member and hopefully this schedule will help you with your puppy training needs! Have an suggestions or puppy house breaking tips you’d like to add to ours? Let us know in the comments below, we look forward to hearing from you.